In 2008, Paizo launched an unprecedented public playtest aimed at updating the third edition rules to make them more fun, easier to learn, and better able to support thrilling fantasy adventures. 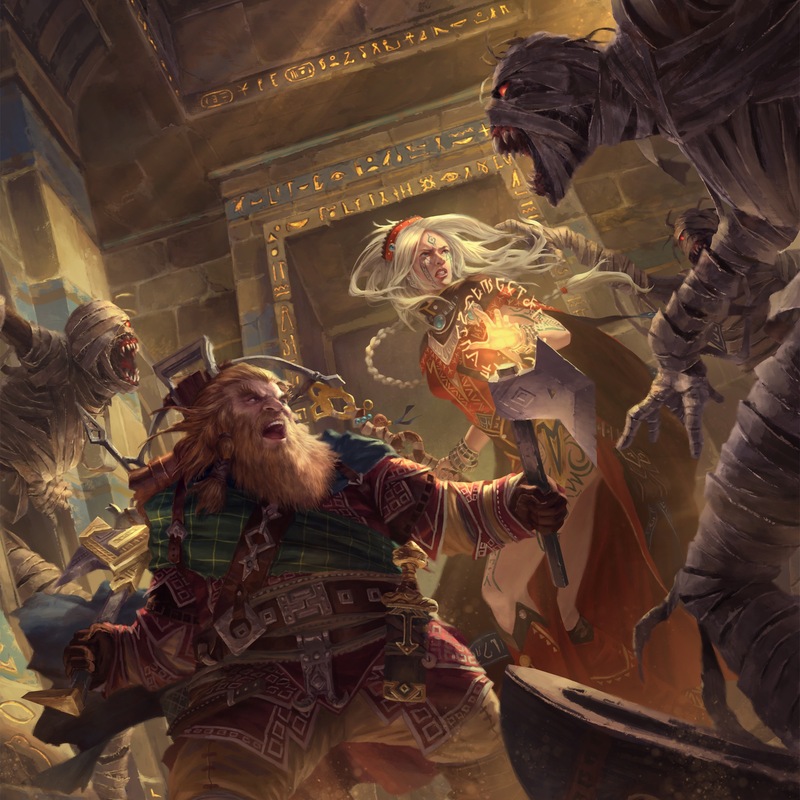 More than 40,000 gamers just like you joined in the fun by playtesting the new Pathfinder RPG rules and providing feedback, and the rest is gaming history. Now, 10 years later, it’s time to put the lessons of the last decade to use and evolve the game once again. It’s time for Pathfinder Second Edition! All Pathfinder Playtest products will be released as FREE downloads exclusively at paizo.com on August 2, 2018. 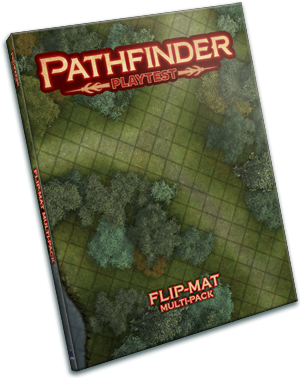 On the same day, we’ll release limited-edition print versions of the Pathfinder Playtest Rulebook, Pathfinder Playtest Adventure, and Pathfinder Playtest Flip-Mat Multi-Pack for players and Game Masters seeking the ultimate playtest experience. These print editions will be available for preorder from local retailers now and paizo.com between March 20 and May 1. We’ll also have copies at the Paizo booth during Gen Con 2018 in Indianapolis on August 2–5. 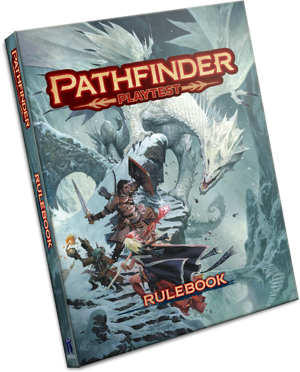 Paizo will not reprint the Playtest Rulebook or Pathfinder Adventure, so players must preorder to ensure they do not miss these items. We have created a preorder form you can print out and take to your local retailer, or you can preorder print editions from paizo.com between March 20 and May 1. This massive 400-page rulebook contains everything you need to create characters and run Pathfinder Playtest adventures from levels 1–20! With gorgeous new illustrations by Wayne Reynolds, the Playtest Rulebook lights the path leading directly to Pathfinder’s future. Available in three editions: softcover, hardcover, and deluxe hardcover with foil-debossed faux-leather cover and ribbon bookmark. This 96-page super-adventure contains seven multi-encounter scenarios designed to introduce the new rules and put them to the ultimate test on your game table! 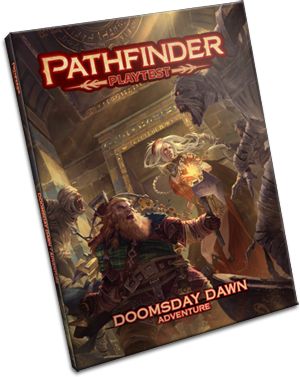 With adventures spanning all 20 levels and featuring most of the game’s newest rules, Doomsday Dawn provides a thrilling tour of the new rules, and of the Pathfinder world itself! Throw your heroes into the action with this collection of two double-sided Flip-Mats for use with the Playtest Adventure. These beautiful full-color maps measure 24″ x 30″ unfolded and set the scene for climactic battles that will determine the future of Pathfinder! The maps’ erasable surface can handle and dry-erase, wet-erase, or even permanent markers.